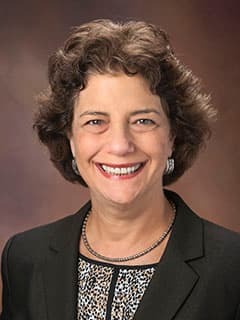 Susan E. Levy, MD, MPH, is a developmental and behavioral pediatrician, and Director of the Autism Integrated Care Program at Children's Hospital of Philadelphia. Schendel DE, Diguiseppi C, Croen LA, Fallin MD, Reed PL, Schieve LA, et al. The Study to Explore Early Development (SEED): A Multisite Epidemiologic Study of Autism by the Centers for Autism and Developmental Disabilities Research and Epidemiology (CADDRE) Network. J Autism Dev Disord. Epub 2012 Feb 17. Cited in PubMed; PMID 22350336. Levy SE, Colantonio S, Reed H, Stein G, Frasso R, Barg F,et al. Shared decision making (SDM) and autism spectrum disorders (ASD) [abstract presentation]. IMFAR 2012: International Meeting for Autism Research; 2012 May 17-19; Toronto, Canada. Pinto-Martin J, Levy S, Feldman J, Lorenz JM, Paneth N, Whitaker A. Screening and diagnostic prevalence of autism spectrum disorders in adult low birth weight survivors [abstract presentation]. IMFAR 2010: International Meeting for Autism Research; 2010 May 20-22; Philadelphia, PA.
Kurtz LK, Dowrick PW, Levy SE, Batshaw ML, editors. Children's Seashore House handbook of developmental disabilities. Gaithersburg, MD: Aspen Publishers; 1996. Hyman SL, Levy SE. Autism spectrum disorders. In: Batshaw ML, Roizen NJ,Gaetano RL. Children with disabilities. 7th ed. Paul H. Brooks Publishing Co.; 2011. Hyman SL, Levy SE. Dietary, complementary and alternative therapies. In: Amaral DG, Dawson G, Geschwind DH, editors. Autism spectrum disorders. NY: Oxford University Press; 2010. Hyman SL, Levy SE. Complementary and alternative treatments. In: Volkmar F, editor. Evidence-based practices in autism. NY: Springer Publishing Company; 2010. Levy SE, O’Rourke MW. The technological assistance: innovations for independence. In: Batshaw ML, Perett Y, editors. Children with disabilities. 5th ed. Paul H. Brooks Publishing Co.; 2002. Levy SE. Making the most of doctor visits. In: Batshaw ML, editor. When your child has a disability. Paul H. Brookes Publishing Co.; 2001. Levy SE. Office developmental screening. In: Schwartz MW, Curry T, Sargent AJ, Blum NJ, Fein JA, editors. Pediatric primary care: a problem oriented approach. 3rd ed. Philadelphia: Mosby-Year Book, Inc.; 1997. Levy SE, O’Rourke MW. The technological assistance: innovations for independence. In: Batshaw ML, Perett Y, editors. Children with disabilities. 4th ed. Paul H. Brooks Publishing Co.;1997. Levy SE. Non-pharmacologic management of disorders of behavior and Attention. In Capute AJ & Accardo P, editors. Developmental disabilities in infancy and childhood. 2nd ed. Baltimore: Paul H. Brooks Publishing Company; 1996. Levy SE, Pilmer SL. The technology-assisted child. In: Batshaw ML, Perett Y, editors. Children with disabilities. 3rd ed. Paul H. Brooks Publishing Co.;1992. Levy SE. Non-pharmacologic management of disorders of behavior and attention. In: Capute AJ, Accardo P, editors. Developmental disabilities in infancy and childhood. Baltimore: Paul H. Brooks Publishing Company; 1991. Levy SE. Office developmental screening. In: Schwartz MW, editor. Pediatric primary care: a problem oriented approach. 2nd ed. Chicago: Yearbook Medical Publishers;1990. Levy SE. Office developmental diagnosis. In: Schwartz MW, editor. Principles and practice of clinical pediatrics. Chicago: Yearbook Medical Publishers; 1987. Levy, SE. Complementary and Alternative Medical Therapies for autism spectrum disorders [presentation]. Grand Rounds, Stony Brook University; 2011 Jun1; Stony Brook, New York. Levy SE. Has the prevalence of autism plateaued? Why or why not? [presentation]. The Spectrum of Developmental Disabilities XXXIII. Johns Hopkins University School of Medicine; 2011 Mar 28; Baltimore, MD. Levy SE. Texas Autism Summit [panel discussion]. 2011 Jan 25; Austin TX. Levy SE. Diagnostic evaluation of young children with possible ASDs [presentation, keynote speaker]. Symposium on Autism, Elwyn and Woods Services; 2010 Dec; Langhorne, PA.
Levy SE. Complementary and alternative medicine in children with autism and other developmental disabilities. AAP National Conference and Exhibition; 2010 Oct 2-5; San Francisco, CA. Levy SE. Complementary and alternative medical therapy for ASDs. PRISMS (Parents and Researchers Interested in Smith-Magenis Syndrome) Research Alliance Meeting; 2010 May; Elwyn, PA.